Mother Horse and Colt Printed Wall Decal Drawn by Diesel & Juice Illustrations. Please note: Colors may vary slightly from the image above. 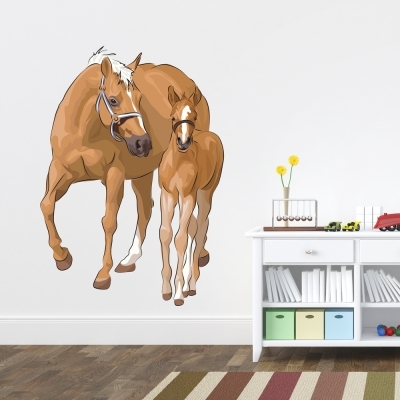 This mother horse and her colt are ready to trot around your room's walls. This printed decal will make the perfect addition to any nursery or horse fans room.